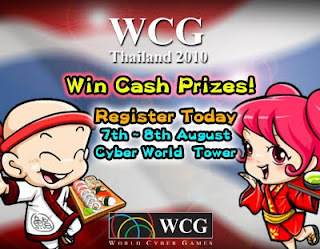 Get geared up for World Cyber Games Thailand 2010! Compete in Sushido! Be the best in Thailand and the region! Great Prizes to be won! Check them out here! Venue: Cyber World Tower, Ratchadapisek Road, Bangkok. no photos for thailand wcg?